80s fans, it’s the event you’ve been waiting for; synthpop legends Depeche Mode are hitting the Oracle Arena on Tuesday 10th October 2017 on their “Spirit,” world tour in promotion of the new album!!! Get ready for the best night of your life! Book your tickets early to avoid disappointment as this show is guaranteed to sell out FAST. 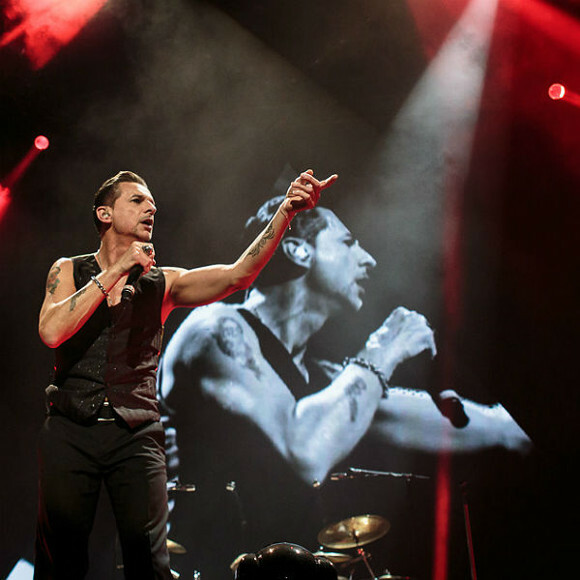 Formed in 1980 in Essex, England, Depeche Mode’s current line-up consists of singer Dave Gahan, primary songwriter, guitarist, and keyboardist Martin Gore (taking over from Vince Clarke in 1982), withAndy Fletcher on keyboards and bass guitar. Following Vince Clarke’s departure after their debut album “Speak and Spell,” the band took on a gradual darker, more Gothic sound and style that was reflected in their visuals, and remains a distinctive defining trademark of the band today. Depeche Mode are without a doubt one of the most important and successful bands in popular music history. With 14 studio albums, 71 music videos and 54 singles, not to mention their array of compilation albums and box sets, they have sold over 100 million records across the world. Their album “Songs of Faith and Devotion” hit No. 1 in the UK and US at the same time, making them one of just eleven UK acts to achieve this feat, alongside a short list of artists that includes Led Zeppelin, Pink Floyd, and The Beatles!! Q magazine called them simply "the most popular electronic band the world has ever known”. Their new album has been released to enormous critical acclaim – don’t miss your chance to hear it live! !